July 28 is Peru’s national holiday or Fiestas Patrias, happy b-day Peru!!! That’s all I’m going to say about the national holiday. Not that we aren’t patriotic, but July 28 also happens to be the birthday of Patricia’s grandmother, “Mama Vicky”, so we celebrate her birthday with the family. If you need pictures or war stories of the Fiestas Patrias, I recommend Barb or Stuart. As for “Mama Vicky”, the account of her true age varies between 82 and 85. Either way, the experiences in her lifetime are hard for me to even imagine. She raised 8 kids – and sadly lost several more – in the small town of Accha throughout the bad-old-days of terrorism in Peru. My parents are in town for a few weeks, so they got to enjoy the party as well. As usual here in Peru, Mama Vicky’s birthday was celebrated with food, family, beer, wine and Pisco. 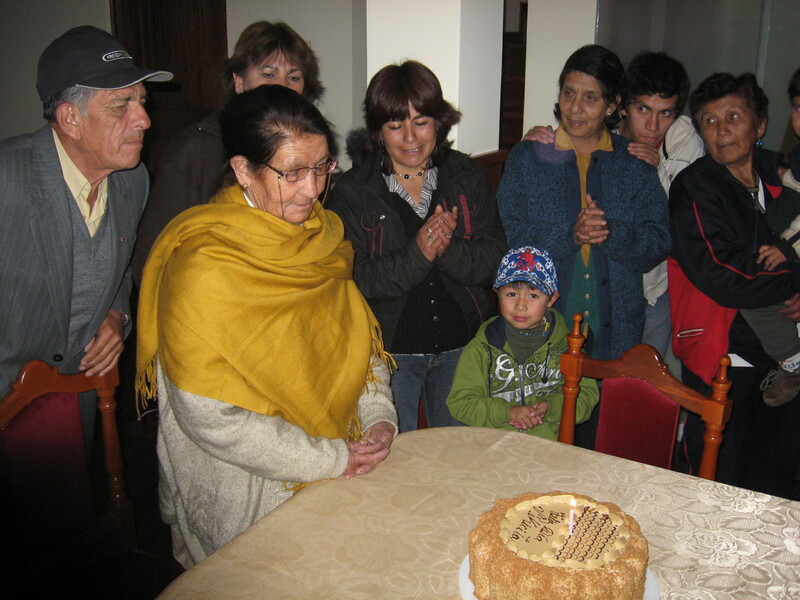 This entry was tagged Accha, birthday, Fiestas Patrias, mama vicky, Peru. Bookmark the permalink. Happy Birthday to Mama Vicky! She truly is a survivor. I’m so glad that you were able to celebrate her day in style and with your parents as well. 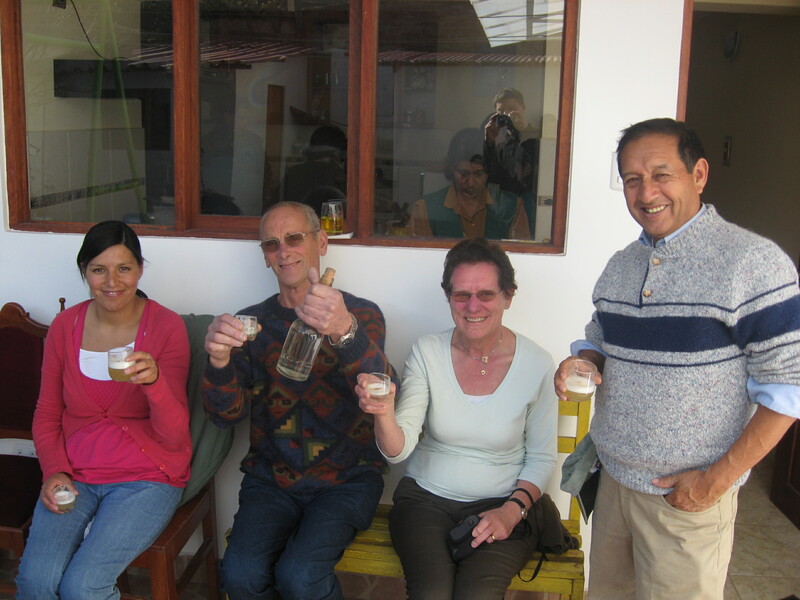 How are your parents enjoying Cusco and the baby? Thanks Barb. Everyone’s doing good, it’s my parents’ second visit to Cusco. Three years ago they did most of the touristy stuff. Daniel: we’ll see you then! Don’t miss it. very nice fotos. Birthday and the generations. Very cute. It is the first time your family has experienced independence day? I wish I had some pisco sours on mine. The one thing I love about Peru is extended family. 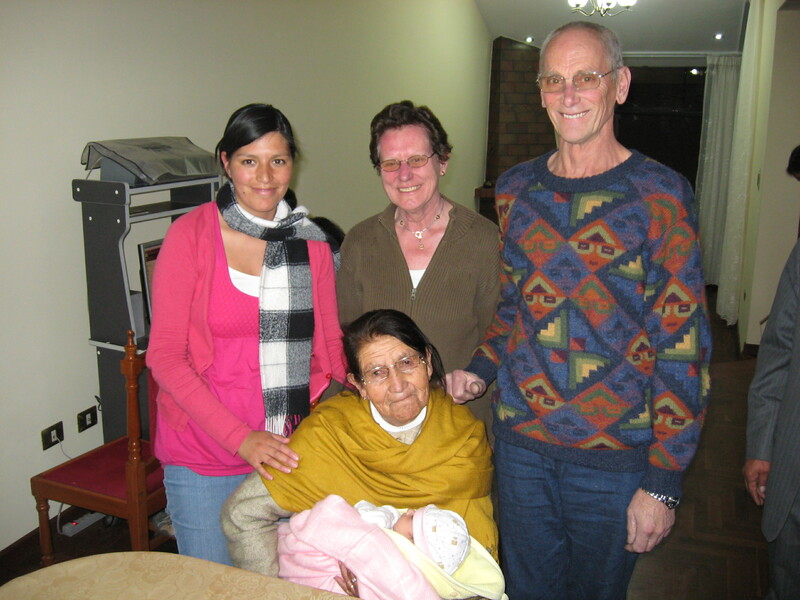 It’s great that your parents were able to visit and meet their grand daughter. “Mama Vicky” looks young for her age, too!